i Comics and the punk movement are inextricably linked-each has a foundational do-it-yourself ethos and a nonconformist spirit defiant of authority. 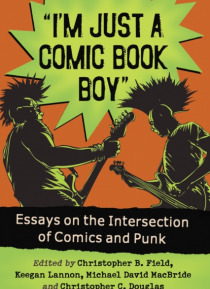 This collection of new essays provides for the first time a thorough analysis of the intersections between comics and punk. The contributors expand the discussion beyond the familiar U.S. and UK scenes to include the influence punk has had on comi… cs produced in other countries, such as Spain and Turkey.